The morphology of neurons in the dorsal lateral geniculate nucleus (dLGN) of rats made micrencephalic by prenatal exposure (E13 or E15) to the cytotoxic agent, methylazoxymethanol acetate, has been examined in Golgi impregnations. Type B neurons were unaffected by exposure on either day while type A neurons showed significant reductions in both soma diameter and dendritic field area following exposure on E15, but not E13. These results indicate that target deprivation of type A neurons (by destruction of neurons in the granular and supragranular layers of the occipital cortex with exposure on E15) has a more significant effect on development of type A neurons than the direct cytotoxic action of the agent on precursors of dorsal lateral geniculate nucleus neurons in the fetal thalamus (seen with exposure on E13 in a previous study). 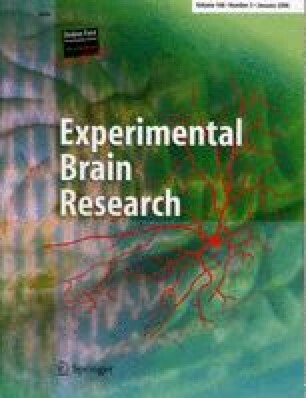 The findings are significant because they indicate that the indirect effects of cytotoxic teratogens on the developing brain (acting via the target dependence of some neuronal classes) may cause structural und functional alterations in the brain which differ from those predicted on the basis of the direct action above. This study also shows that the percentage of relay neurons in the dorsal lateral geniculate nucleus is unaffected in animals exposed to the agent on E15, despite pronounced reductions in neuronal numbers and changes in relay neuron morphology.